What Is Compounding and How Can It Benefit You? One of the more commonly used forms of compounding is changing the size of the dosage. This is something that is very important to do because doing it your own by cutting up your medications and guessing can be dangerous. It is better to visit your local pharmacy in Wayne, New Jersey and have them handle it for you. Through compounding, we are not only able to adjust the dosage size but to also customize it to fit you perfectly. This will make the medications safer and more effective to use. Compounding can be used to change the type of medication you are using. For example, we can alter it from a capsule to a liquid or vice versa. This is beneficial when you have a hard time swallowing pills or if you would like capsules instead of a liquid because they are easier to bring, especially when you are traveling. This service can also make it easier for you to give your children medications. During this process, we can also change the flavors. We can alter and substitute ingredients in your medications. This is important when you are unable to take your drugs due to an allergy or for other reasons. 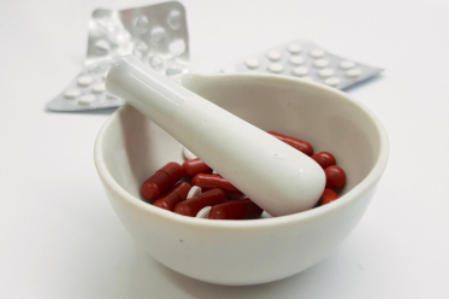 Through compounding, we can swap out the ingredients you are unable to take while still maintaining the effectiveness of the drug. Visit our medical supply store to begin enjoying superb pharmaceutical services. Riverview Pharmacy is dedicated to helping you maintain your health through high-quality products, fair prices, and top-notch services. This entry was posted in Compounding and tagged Compounding Services, Medications, Pharmaceutical Service. Bookmark the permalink.